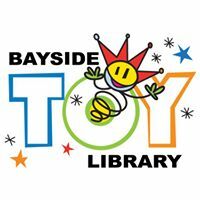 The Bayside Toy Library is a not-for-profit toy lending service (for children aged between 6 months and 10 years), which provides families with access to a variety of educational toys to assist with childhood development. Established in 1985, it recognised two fundamental truths: toys cost a lot of money, and kids lose interest in them fast! With over 3,000 items on offer, the Bayside Toy Library can fascinate your child for years to come at a very low cost. The philosophy behind the choice of toys is that they should be multi-functional and require kids to use and develop their own skills. Of course, they are also lots of fun! The Bayside Toy Library is managed by a voluntary committee of members that are elected annually at our AGM.